At Rootstock Software, a proven provider of powerful Enterprise Resource Planning (ERP) for manufacturing, distribution and supply chain solutions built and deployed on the Salesforce Platform, experts and professionals are seeing a rapid acceleration in the demand for cloud ERP installations. Forrester, the Cambridge-MA research firm, discovered that actual ERP adoption via replacement doubled between 2012 and 2014. More importantly, Forrester found that although only six percent who replaced systems with Software-as-a-Service (SaaS) in 2012 had grown to 19 percent in 2014. It doesn’t stop there, transitions to the cloud are only estimated to grow. Gartner, another major research firm, predicts that at least 30 percent of service-oriented businesses will move the majority of their ERP applications to the cloud by 2018. The research and advisory firm Mint Jutras, puts a stamp on these expectations by forecasting that SaaS based manufacturing and distribution software will increase to 45 percent by 2023. Pat Garrehy, writer for Rootstock Software’s blog, explains the several reasons why cloud ERP is taking off at such a quick pace. The first is obvious, cloud computing itself has become an extremely popular deployment option. ERP however, has been slower to climb on board than HR or CRM (Customer Relationship Management). 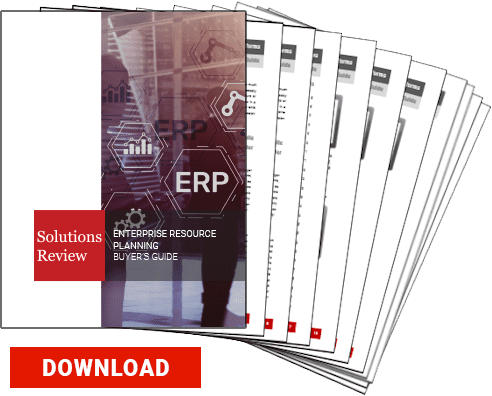 The main reason for this is because ERP is so comprehensive, covering sales as well as operations, bringing both together. But as more manufacturers and distributors are seeing the viability of the cloud in their other apps, ERP is slowly catching up. “Today, in the same way companies are saving money on their other apps, they do not need the expense of adding infrastructure costs in computer systems or people to implement an ERP that helps them run their business in the way that old traditional, on-premise systems operate,” said Garrehy. Integration between corporate centers and the cloud should be a key consideration. As salespeople are already using Salesforce, corporate centers are catching up and becoming integrated with it. As a matter of fact, corporate buyers have been making commitments to the Salesforce CRM and Salesforce platform already. Since there are so many different cloud application vendors today, on Salesforce, having the same look and feel within the same cloud community to adhere to the same standards for integration is a very important criterion for the selection of cloud ERP solutions. “This is being noticed by the small and medium sized companies as well, so they too, should consider between one or more of the cloud ERP solutions on the Salesforce platform, especially since they know there will be even more software application solutions on this platform in the future,” suggested Garrehy. Companies new and old, are turning to the cloud for their ERP solutions simply because they can afford it. As the cloud has shown itself to be very practical, the high cost of on-premise ERP systems are no longer a roadblock for deploying ERP. For large companies with older ERP systems, the catalyst for growth is hybrid, two-tier systems. Garrehy explains that tier 1 is compiled of large, manufacturing enterprises with an ERP system at the corporate level. Tier 2 is composed of small and medium sized manufacturing plants (a lot less corporate). “What we have learned over the past 20 years, since Rootstock Board of Advisor member Lee Wylie, coined the term ‘ERP’ in the early 1990’s, is that no one software ERP package can address all manufacturing and distribution operations. Therefore, customers must consider the selection of the top best-of-breed ecosystem which offers more than one type of ERP software package,” added Garrehy. Large or small, manufacturer or distributor, having the ability to run an entire business in an integrated cloud ERP platform allows companies to operate more efficiently, reduce costs, deliver a better customer experience, and ultimately, improve revenues. Luckily, Rootstock Software provides the breadth and depth of solutions that today’s manufacturers and distributors need to efficiently operate and grow their businesses. The company offers the On Demand ERP solution for all sizes and types, whether they are small organizations with ten users or large operations with several sites and hundreds of users.